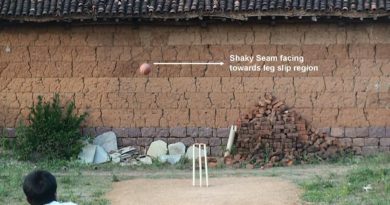 Its simple, the reason is when you bowl a Normal Leg Break it pitches (rotating with NW directed seam) in and around legstump line, and moves towards outside the Off Stump or towards the slip direction. 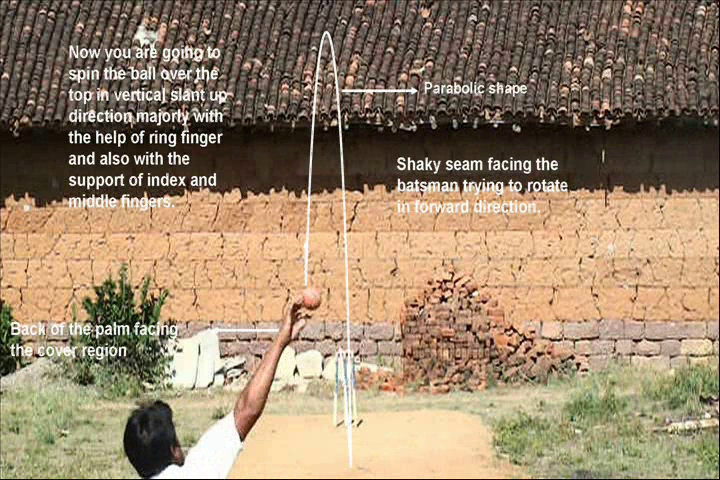 That means in Normal Leg Break after pitching, the ball moves towards slip direction, but here in Top spinner the ball will be adjusted to move in straight direction. 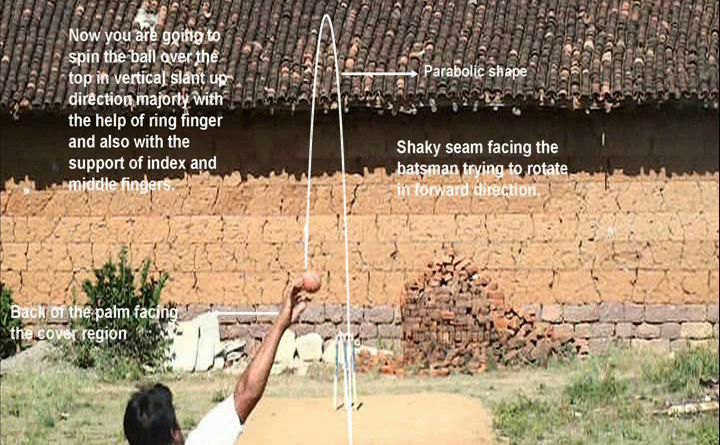 Therefore since the ball spins over the top with the seam up direction infact moves in straight direction [straighter to wickets] after pitching, it is called as Top Spinner or Straighter One. 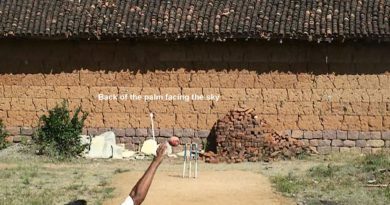 The seam of the ball rotates from Top to Down in front direction with the thumb facing towards the batsman, back of the palm facing towards the sky at the time of releasing point. 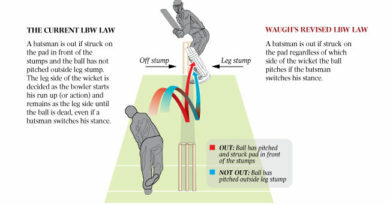 ← What Exactly the Googly n Topspinner are ?